Art of Living' . . .
. . . , , , , , . 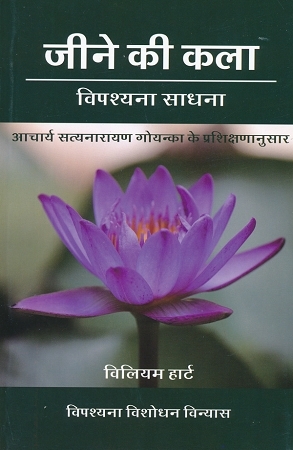 This is the Hindi translation of the classic introduction to Vipassana meditation: a full-length study of the teaching of S. N. Goenka, prepared under his guidance and with his approval. Useful for meditators and non-meditators alike. This book accurately describes the practice of Vipassana at length for the general reader. It includes stories by Goenkaji as well as answers to students' questions that convey a vivid sense of his teaching. Also available in many translations including Farsi, French, German, Gujarati, Hebrew, Sindhi.